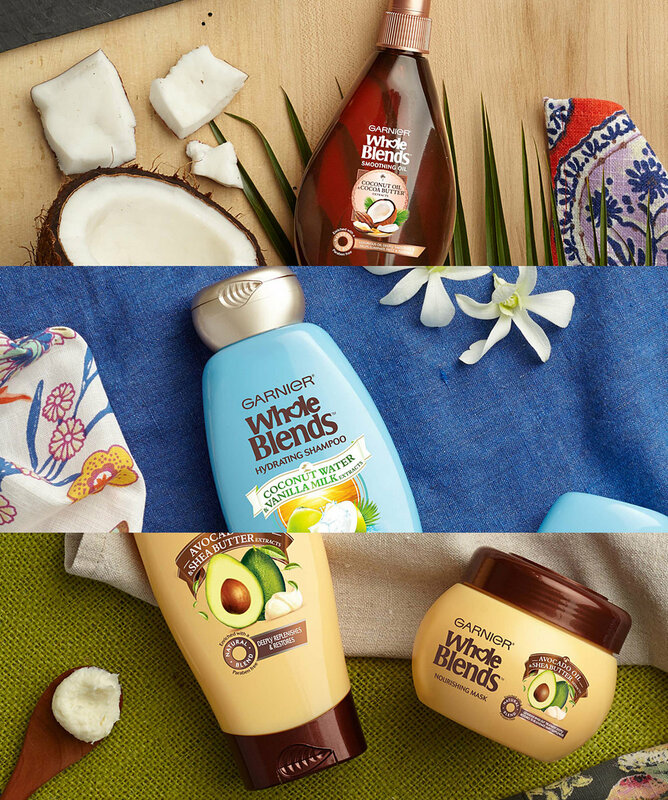 Highly known for their hyper-fun and flashy look and feel of Garnier Fructis haircare and styling products, new Whole Blends needed a completely different look and an unexpected consumer approach. 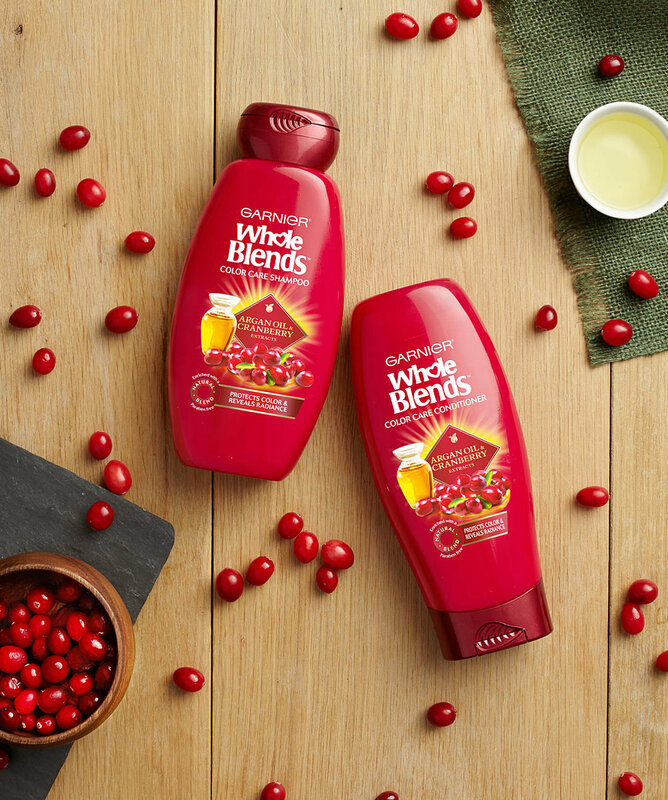 This included rich ingredient and product photography, a unique insight that more than 40% of moms avoid family photos, and of course...naturally beautiful hair. Synced with the product launch on Mother's Day, the digital brand spot encourages moms, sisters, aunts, and friends to get back in the picture. 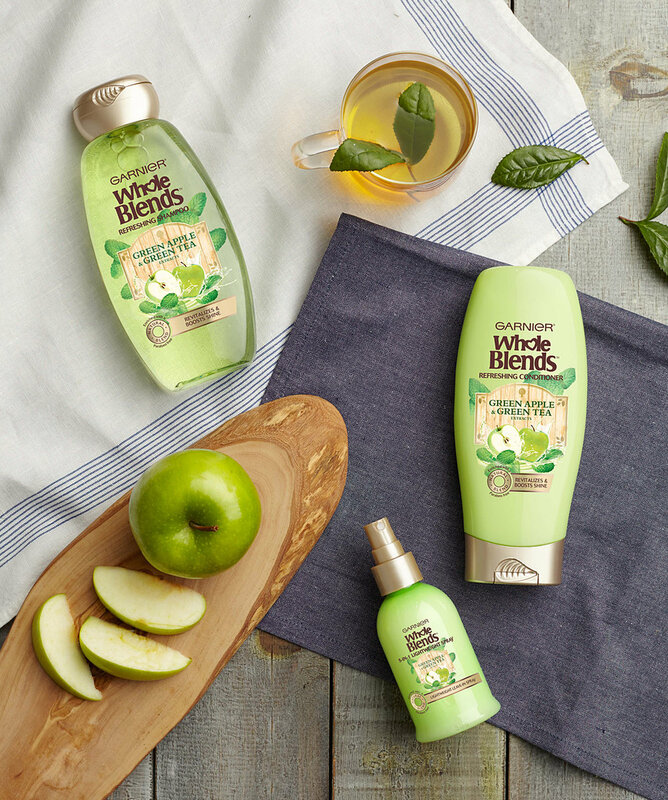 Setting the look and feel for Whole Blends product and ingredient photography, simple layouts, natural lighting, organic ingredients, and rich props set this brand apart from Garnier's full shampoo and conditioner offering. 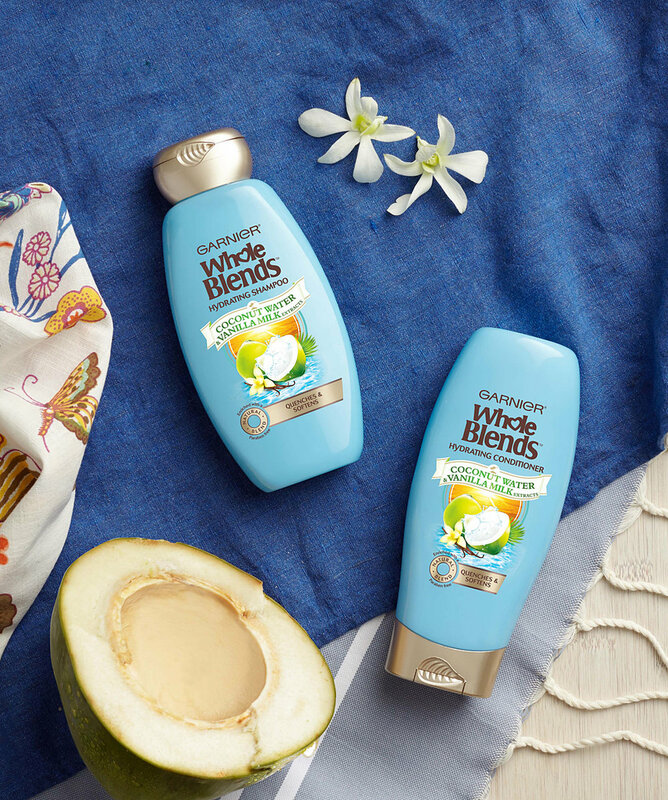 Not only was it the foundation for the launch, it was carried through to year 2 and became the benchmark for all other Garnier subbrands. Building off the insight, we developed a full social campaign with evolving creative—from campaign focused to more heavy product focused. In addition to our campaign spot, we released 6 short, playful product videos—highlighting the depth of select ingredients in each enriched formula.